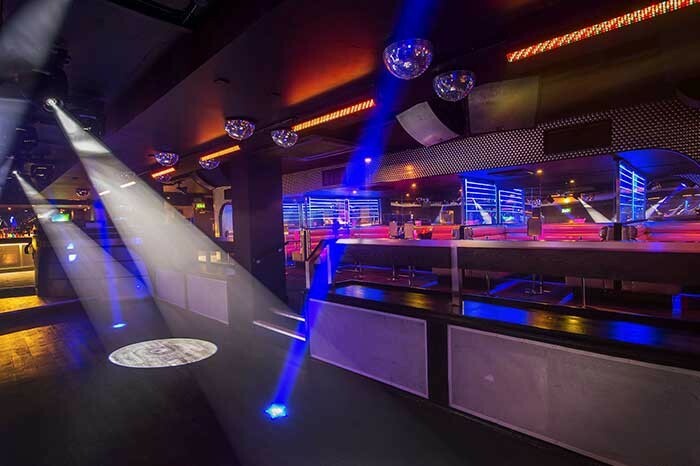 UK - Herts-based light, sound and video experts, Technical Arts, have long been the preferred installation partner for Luminar Leisure venues and have partnered lately with Chauvet Europe to complete the supply of a recent spate of lighting upgrades across Luminar’s portfolio. Venues benefitting from the inclusion of Chauvet DJ bright and powerful LED ranges include Cambridge Ballare, Cambridge Kuda, Bristol Pryzm, Preston Evoque, Ashford Liquid, Leicester Liquid and Lava and Ignite in Oxford. The lighting system in Cambridge’s Ballare gained a full overhaul comprised of six Chauvet DJ Intimidator Beam LED 350 fixtures, six Chauvet DJ Intimidator Spot LED 350 lights, as well as sixteen Chauvet DJ COLORrail IRC fixtures. The size of the Chauvet DJ lights perfectly suited this low ceiling venue. Technical Arts’ director Andy Pound commented: “We’ve opted for the Chauvet DJ products to give us the perfect look for the Luminar venues at the right price. There were no installation issues and minimal disruption to the venues, which is really important.